This comic was inspired by a late night conversation with the delightful and generous astronaut Dr Kjell Lindgren at the Nebula awards ages ago. I told him about my concerns around perfectionism and people’s fears of being wrong as if it made them wrong as person. He told me that when he speaks as schools he says, “Failure is not an option, it is mandatory.” A wonderful idea for a bumper sticker I need to design. Please consider this a prototype! 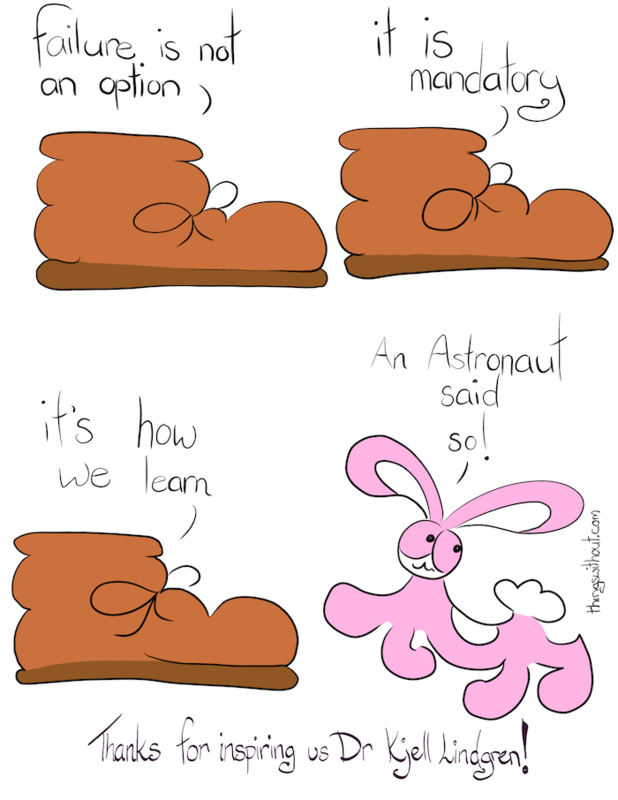 Bunson: an Astronaut said so! Thanks for inspiring us Dr Kjell Lindgren!